Frustration revolving around the President of South Korea, Park Geun-hye, and timg-time aide Choi Soon-sil is currently running deep throughout the nation. Along with this scandal, the country’s economic and diplomatic state faces rising uncertainty due to the USA’s recent presidential election in which Donald Trump’s controversial win shocked the world as a whole. These surprising developments have fueled anxiety and a general feeling of discontent within the public domain. 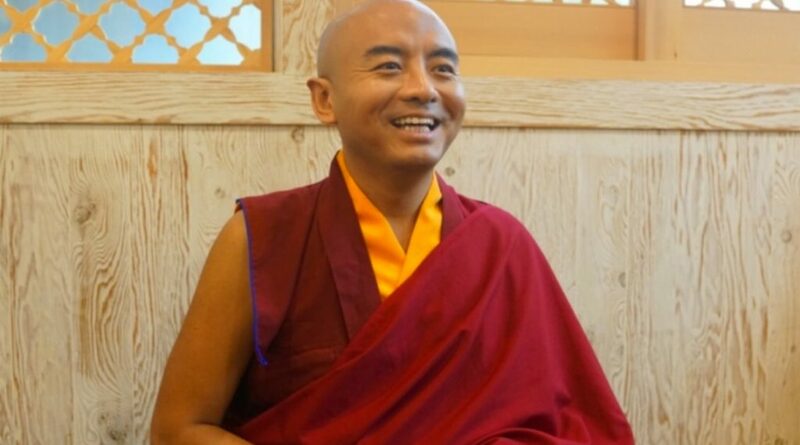 Despite this, Yongey Mingyur Rinpoche, a Tibetan monk, believes the main source of anxiety is to do with the ongoing battles of the mind, rather than the current state of economic and diplomatic affairs. In an interview on Monday in The Korea Herald, Rinpoche said he considers happiness as being “Feelings of contentment, joy and a lot of appreciation that come within yourself,”. This was during a week-long stay in Seoul in which he holds retreats for discovering sense in life. Known by some as the world’s happiest man, Rinpoche emphasised that self-regulating one’s internal workings to be of utmost importance. He said “There is no need to seek happiness from the outside, if it’s all problematic, chaotic and frustrating. You can find joy from the inside through meditation,”. “We all have a lot of wisdom in the brain, and love and compassion in the heart. But we are not normally content. People are interested in watching bad news because good news becomes normal,” he added. Rinpoche, who comes from a serene Nepalese village close to Tibet, is respected not only by numerous Korean Buddhists, but also by non-believers for his powerful understanding of what is really necessary in life. During 2012, Rinpoche decided to go on a journey and informed his supporters he wouldn’t come back until his comprehension of our world had grown. He essentially lived like a homeless person throughout this time, begging for food and sleeping on the streets. Diarrhea and food poisoning had him knocking at death’s door at times, and he shared his meager belongings with a street dog he befriended. Throughout the retreat, his mission was clear: The goal was advance his meditation while also studying life in general. His rocky four-year journey cleared his mind while simultaneously freeing it of anxiety and worries, Rinpoche stated. The values and benefits of loving, kindness meditation can be supported by scientific evidence. Rinpoche received several MRI scans in 2002 at Wisconsin University’s Waisman Laboratory for Brain Research as part of his aim to teach meditation. During this time, his brain activity was closely monitored while meditating. These studies showed brain waves that are connected to consciousness and perception increased dramatically during meditation, suggesting that meditation may change the workings of the mind as envisioned by the practitioner. However, Rinpoche believes theory by itself is insufficient in easing pain and anxiety stemming from our day-to-day encounters and activities. “What I have noticed while holding retreats here is that people are very interested in meditation. I sense that they are more than willing to understand the practice and get messages from it. But sometimes we do good things but fail to understand what that really means. Sometimes we recognise our basic goodness and potential within ourselves but are too lazy to follow the principles,” Rinpoche noted. Making the world a better place can be achieved by simply respecting nature and appreciating all that it brings to use such as the sun on our face, the air that we breathe, and by taking efforts to rescue, save, and care for wildlife. Doing these tasks enables us to heal and grow faster than you can imagine, and to recognise our inner gifts through the power of meditation. Rinpoche alleges three ideals as being important in facilitating people in truly transforming their lives through meditating daily. “From your head comes a clear view. From your heart starts meditation. We perceive things from the brain but it is the heart that is at the core of gratitude” he said. After waking, his first thought is to be grateful of his environment. He voiced to his audience at a Seoul retreat of his that meditation is like breathing. Rinpoche said loving, kindness meditation allows people to view their mind exactly as it currently is. During meditation, people usually find that their mind is preoccupied with many concerns, but this awareness is a positive development. “You don’t have to make your busy thoughts an enemy. Listen to them and give them an order. When you become the boss, you become freer,” he said. Discovering peace internally is vital, however, this doesn’t mean we should overlook external concerns, Rinpoche said. When questioned as to how we should respond to the current political scandals unfolding in Korea, Rinpoche responded by stating that we ought to foster wisdom, and to also practice it.